Are you looking for a way to give your smile a boost? 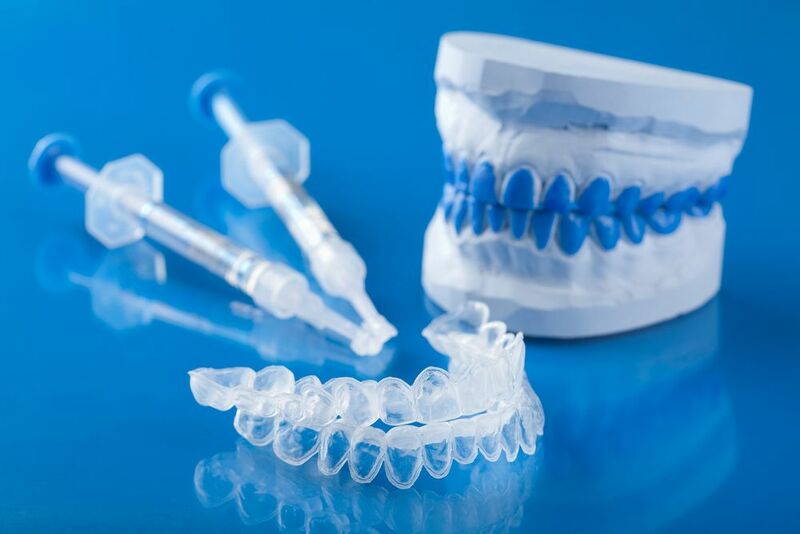 Patients seeking a more beautiful smile can undergo professional teeth whitening at our Windsor, CA dental practice. From in-office whitening to take-home bleaching and a host of other cosmetic treatments, we can help you achieve and maintain a beautiful smile. Today, we will explore take-home teeth whitening, and what this treatment can do for you. How Does Teeth Whitening Brighten Your Smile? Before discussing how the teeth whitening treatment process works, let’s explore the science behind bleaching, and how it eliminates dental staining. The active ingredient in bleaching gel is either hydrogen peroxide or carbamide peroxide. When the gel is applied to the teeth, oxygen molecules within the gel begin working to break apart the bonds that create stains. It is important to note that teeth whitening is most effective for extrinsic stains, which are caused by dark-colored foods and beverages. Intrinsic stains, which develop due to trauma, genetics, or certain medications, may require alternative cosmetic treatments, such as dental bonding or porcelain veneers. Before you can begin whitening your teeth at home, we must first take impressions of your mouth. These will be used to fabricate a set of custom bleaching trays. Your doctor will also consider your unique needs and goals to determine which bleaching gel should be used. Whitening gels have varying concentrations of hydrogen peroxide or carbamide peroxide. If you are prone to tooth or gum sensitivity, you may wish to consider a lower concentration. All bleaching gels provided by your dentist will whiten your teeth dramatically. The treatment times will simply vary based on the strength of the gel. To whiten your teeth, you will apply a small amount of bleaching gel to the trays, and then insert them into your mouth. The trays should fit snugly and comfortably over the teeth. Depending on the strength of the gel you are using, you may need to wear the trays overnight, or you may wear them for 30 minutes twice a day. Dr. Patrick Seely will give you detailed instructions regarding how often to wear your trays. Many patients want to know about the efficacy of over-the-counter teeth whitening products. After all, there are plenty of store-bought options available. It is important to understand that, although these products can be effective, they are not always safe. Some pastes and gels can be too abrasive and can damage the enamel that protects your teeth. Dentist-supervised at-home teeth whitening uses safe methods to deliver dramatic results. However, if you choose to use a store-bought product, be sure it has the ADA Seal of Acceptance. If yellowed teeth are making your smile appear lackluster, consider what teeth whitening at Windsor Dental Group can do for you. To learn more about our cosmetic treatments, or to schedule a consultation with Dr. Seely, call us at (707) 838-3363 or contact us online anytime.